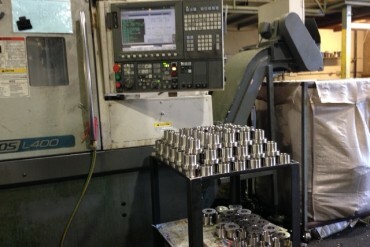 Facet Engineering offers high-performance CNC threading in Perth. Across Western Australia, our CNC threading has become synonymous with precision and accuracy. This is because over the years we have honed our skills to complement the quality equipment and technology we work alongside. Contact us today for lathe threading in Perth you can rely on. CNC threading is the process by which a uniform helical groove is cut inside of a cylinder-shaped piece of material or on the outside of a workpiece. Our machining centre in Malaga facilitates the CNC threading services we offer. It is equipped with the latest mills and lathes for streamlined operations and fast turnaround times – no hanging on for hours to have your call attended to – we offer the good old-fashioned service, answering each and every call immediately. We specialise in production runs, CNC turning with live tool and bar feed options, vertical CNC milling, manual machining, fitting, threading, and much more. Our CNC threading ensures that you have access to a safe, extremely controllable threading process which allows for material variances. The lathe threading we provide offers unrivalled dimensional accuracy and unified form. Each of our thread mills has the capacity to produce different thread diameters of similar pitches without compromising tool performance or integrity. Contact us today for high-performance CNC threading.